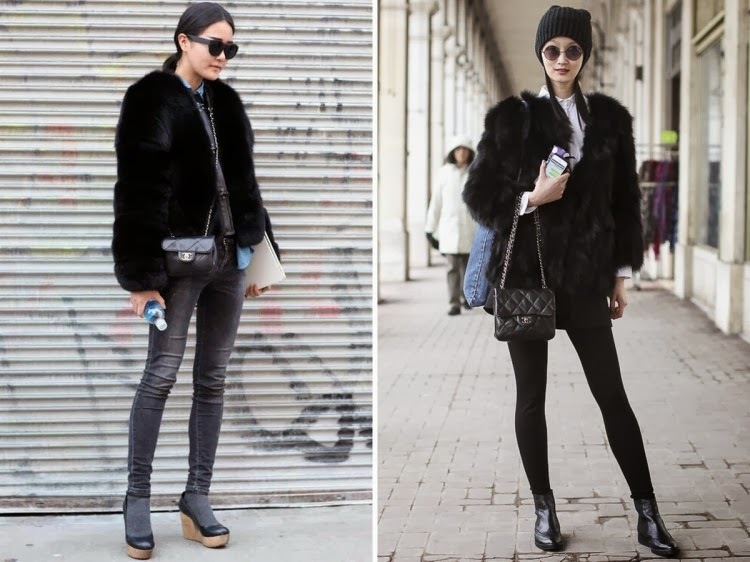 In this autumn & winter, FUR (be it faux or real) is the biggest TREND. It did start last year with a mass obsession for fur hats, and, today, alongside other huge trends like Black & Leather. How to wear fur coats? Fashion restrictions (as in heels and smart-glam outfits) have been crossed. That leaves us with plenty of options, thus satisfying absolutely any style you’re going for. Este otoño invierno parece que los abrigos de piel de pelo FUR (real o no)están convirtiendose poco a poco en La TENDENCIA. Espero que os sirva y os gusten! Photos__My Daily Style, 21Century, Stockholm Streetstyle, Garance Dore, Vogue, Tumblr, Collage Vintage.